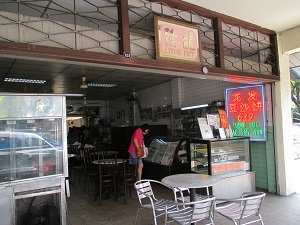 Balestier road has been a battle field for some of the famous good food. One end of the street we have the Bak Kut Teh and over the other end of the road, the war between the Tau Sar Piah continue to intensify amongst the shops. However, we know it is a war with no ending and perhaps no absolute winner. For the many decades, all the Tau Sar Piah stalls are still surviving thanks to their own loyal followers and supporters. 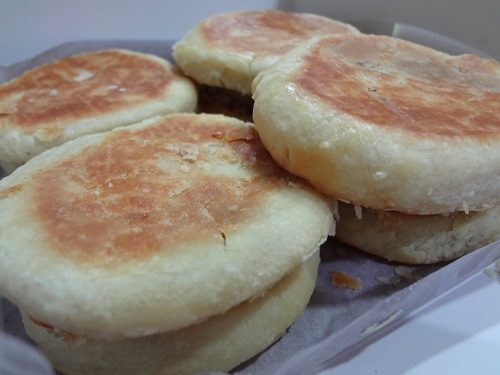 In the end, it is very much depend on the individual liking since everyone has its own preference; this is exactly the situation with the glutton family in picking the best Tau Sar Piah. 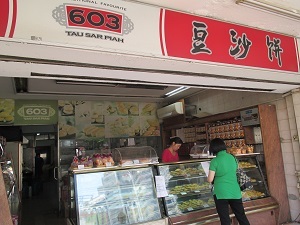 The two shops have been in fierce competition and offer varieties of different flavours ranging from traditional sweet and salty green bean paste, yam, black sesame, green tea, durian and coffee etc. 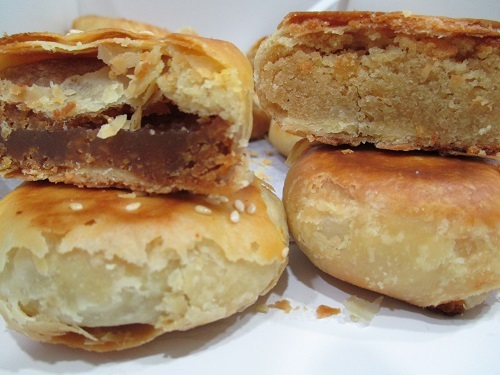 We ordered the sweet and salty green bean paste version; both the versions are the most sellable and popular items in Singapore and naturally the pick for the evaluation. 603’s Tau Sar Piah was almost double the thickness than the Loong Fatt a few shops down the street which is flat and thin, the sweet version of the green bean paste was a tad sweeter compared to Loong Fatt, the texture of the sweet green bean paste is quite similar from both the shops. However, the piah’s crust is flaky but number of layers to make up the crust is much lesser in 603’s piah, from our experience, a good piah should have sufficient thin layers of the crust to give it a distinct and flaky texture. 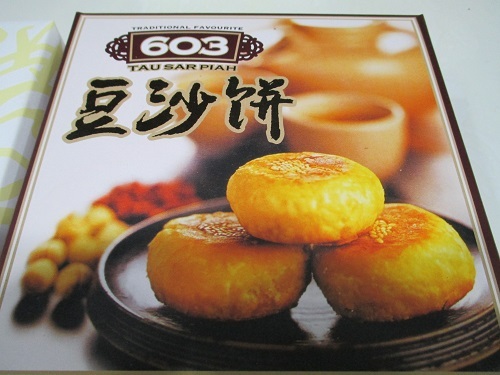 Unfortunately, the piah from 603 was not too inspiring so do the bland taste as well; it is just a sweet pastry that lack of the character. The salty version is similar to those of Penang Tar Sar Piah, which is dried and powdery green bean paste, a distinct difference from the Long Fatt pasteurized green bean for the salty version. The two are completely difference in the ingredient presented and difficult to compare which has the superiority. 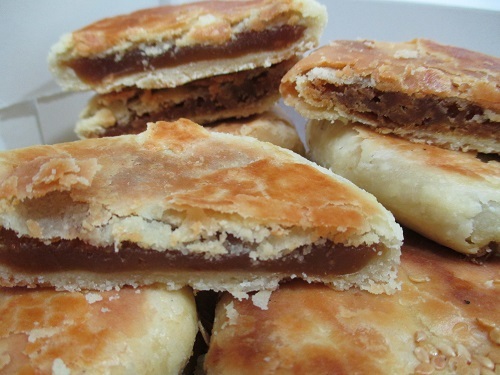 Loong Fatt crust layers is thinner with more layers in between, you can taste the nice buttery flavour, the slight salty from the butter goes very well with the sweet green bean paste, it creates a balance between the sweetness and the saltiness of the filling and the crust. 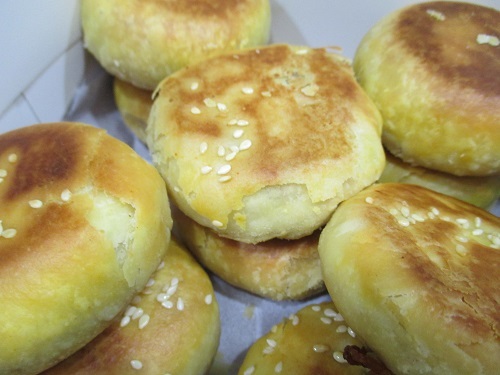 The pastry has fine texture that blends perfectly with the green bean paste internally. For the fillings, the sweet and salty version has similar taste except the sweet version discounted the present of saltiness. Both the fillings are rich and tasty. 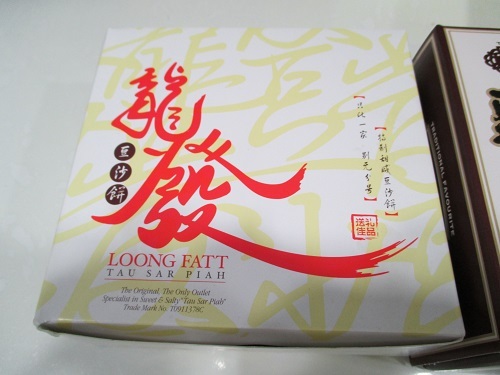 Overall, Loong Fatt has better crust and tasteful fillings, though our glutton princess stand firm on her preference with the 603 salty versions. iEat&Eat Team is made up of a team with an undying passion for good food and photography. We are determined to explore and showcase the best local and international delights that Singapore has to offer. With the never-ending myriad of restaurants, food kiosks and cafes sprouting up all over the island, we promise you won’t be bored!